The Faux Frenchbo Bulldog is a designer crossbreed from the United States. It’s a cross between a purebred Boston Terrier and French Bulldog. It was developed in the 1990s and designed with the intent to increase the French Bulldog’s stamina and mass, while also getting rid of certain health hazards that are related to the breed. These dogs are very cute and affectionate and will be a faithful companion to you and your family. The Faux Frenchbo Bulldog is quite an easy dog to train. What Price are Faux Frenchbo Bulldog Puppies? The price of Faux Frenchbo Bulldog puppies is anywhere between $850 to $1,600. How to Find Reputable Faux Frenchbo Bulldog Breeders? You will have to do a little digging to find the right breeder. Asking people for referrals should be your first step. Ask your local veterinarian and friends who own healthy pups from breeders for information about where they found their dogs and why they felt confident in those breeders. Do some research on any breeders you come across as options. You should ask them where their puppies are coming from and whether these dogs are prone to diseases. Find out as much as you can before meeting with the breeder so that you will have all your answers already and only need to confirm them with the breeder. Even if your research doesn’t turn up anything of concern, you should still be vigilant when you meet with breeders. There are some basic red flags that you need to keep an eye out for. Beware of breeders who sell puppies to you immediately once they find out that you have cash. A reputable breeder will want to know if you’re a competent dog owner for the puppy that you are trying to get. Most of the time, an irresponsible breeder is only doing the job for the money and won’t care where their pups find homes. A good breeder will be more than willing to show you the breeding process. If the breeder tells you the facility is off limits, they may be hiding something. Puppies of certain breeds may be prone to specific illnesses or other health problems. A reputable breeder acknowledges this and will give you tips on how to best raise and care for them. Reputable breeders should be willing to give you the information of previous clients to whom you can speak. If they are not forthcoming about past clients, they may be hoping you won’t dig for more information. They will show you around their facility and disclose the pros and cons of getting their puppies. They won’t give away any of their puppies until they know that you’re the right fit. Many breeders run clean, healthy, and happy businesses. With the proper research, you can find reputable breeders and bring home a puppy that will live a happy and healthy life. The Faux Frenchbo Bulldog is also known as Faux French Bulldog, Frenchbo Bulldog, Frenchbo, Frenchton, and Boston Frenchie. Faux Frenchbo Bulldogs are small dogs. They will be tiny, delicate puppies that require gentle handling. Minimal shedding is yet another reason why the Faux Frenchbo Bulldog is such a popular breed. The Faux Frenchbo Bulldog may sometimes be a bit stubborn. Like with all designer dog breeds, there’s plenty of genetic variability that can be present in this dog. 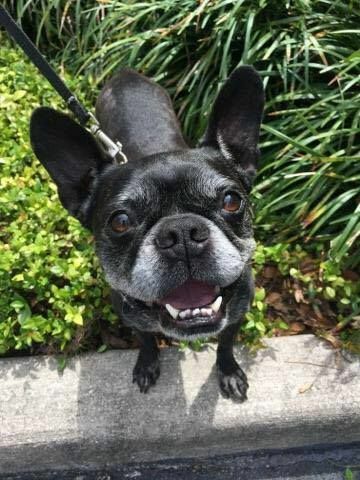 The ideal cross between the French Bulldog and the Boston Terrier results in a dog with the slighter frame and athleticism of the Boston Terrier and the sturdy bone structure of the French Bulldog. 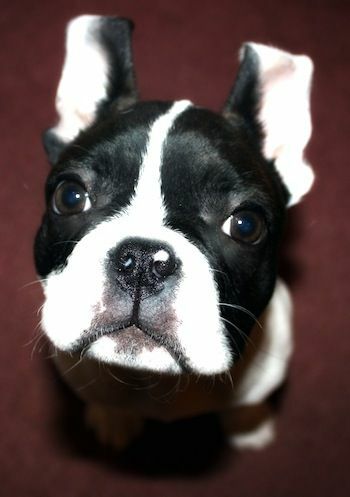 The Boston Terrier’s buggy eyes are reduced, so the Faux Frenchbo Bulldog offspring does not inherit the bulging eyes which are characteristic of its Boston Terrier parent. They have short hair, and they shed very little. The grooming of Faux Frenchbo Bulldogs is quite simple. Because they have short hair, they do not need regular brushing. You may bathe your Faux Frenchbo Bulldog less frequently if you wipe their coat regularly with a damp cloth. Their nails should also be clipped regularly, approximately every two weeks. Additionally, you should brush your dog’s teeth every day to prevent tooth decay. How Big is a Full-Grown Faux Frenchbo Bulldog? Faux Frenchbo Bulldogs can grow up to 15 inches and weigh 20 pounds. What is the Life Expectancy of the Faux Frenchbo Bulldog? The life expectancy of the Faux Frenchbo Bulldogs is 12 to 15 years. The Faux Frenchbo Bulldog is also known as Boston Frenchie. Faux Frenchbo Bulldogs crave human companionship. They make great pets, and they love children. They can be quite energetic and playful at times, but they also love to cuddle with their humans. They exhibit a combination of traits from their parent breeds. You can expect them to make a fine canine companion that is intelligent, eager to please, obedient, entertaining, fun, and independent. Before getting a Faux Frenchbo Bulldog, be sure that you have the time to dedicate to caring for and playing with them. They are affectionate, good-natured, and friendly. They enjoy getting loads of attention from their human family. Cuddling with their owners is just one of many ways that they show their love. While Faux Frenchbo Bulldogs can get along well with children, they do better with older kids that know how to handle them gently. When it comes to other pets, a Faux Frenchbo Bulldog will typically tolerate other animals but may show some aggression towards other dogs. They are intelligent dogs, but they can also be demanding and stubborn, much like French Bulldogs. This could make training a challenge. Using tact and being firm, as well as incorporating positive reinforcement, patience, and consistency will make it easier to handle your Faux Frenchbo Bulldog. These dogs love to have fun and play, and they can be quite entertaining, especially when they are taught how to do tricks. If your dog is particularly stubborn, though, stick with obedience training that will teach him how to follow commands. Use rewards and repeat the same training exercises until they have been mastered. Feed your Faux Frenchbo Bulldog high-quality dry dog food, high-quality wet food, or a combination of the two. To know how much you should feed your dog, just follow the instructions on the dog food pack. The amount of food will vary depending on your dog’s size and level of activity. Split the feeding up into at least two meals per day to control the amount of food that your dog eats. This will help prevent overeating that could lead to unnecessary weight gain. How Much Exercise Does a Faux Frenchbo Bulldog Need? The Faux Frenchbo Bulldog is an offspring to two parents that don’t need to get that much exercise and physical activity on a daily basis. You won’t have to worry about exercising your Faux Frenchbo Bulldog that much, either. These dogs will be happy if given anywhere from 30 to 45 minutes of exercise each day outside the house. You don’t have to do any vigorous type of exercise with your Faux Frenchbo Bulldog if you’re not a fan of exercise yourself. A simple and light walk outside the house will do this dog just fine. The Faux Frenchbo Bulldog may be susceptible to any of the common ailments found within its parent breeds. However, there is no guarantee that they will suffer from any of those problems because every dog is unique and there’s no way to predict their health over the course of his life. Faux Frenchbo Bulldogs are more likely to be sensitive to extremes in temperature, as well as eye problems, digestive concerns, respiratory disorders, or breathing difficulties. 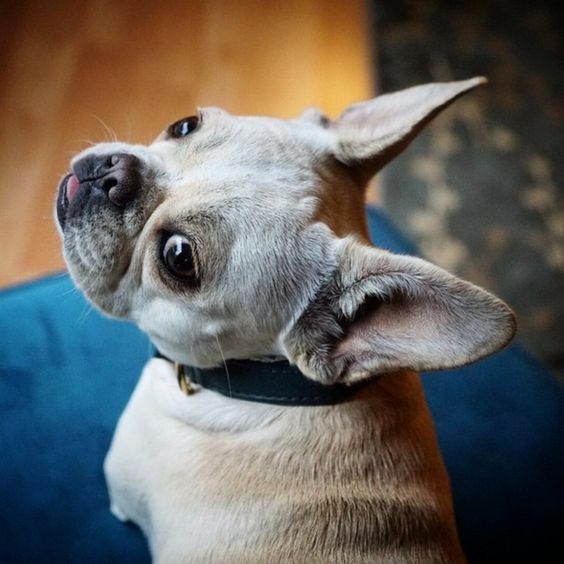 Because of its inherent desire to make its humans happy, the Faux Frenchbo Bulldog is quite an easy dog to train and won’t give you a lot of headaches along the way. However, they may sometimes be a bit stubborn, a trait that they get from their French Bulldog parent. This can lead to some training challenges along the way. They make an excellent companion dog but not much of a good working dog. Because this dog is a companion dog, you need to make sure that you give your Faux Frenchbo Bulldog all the time, love, care, and affection that they deserve. If you’re not up for such a commitment for whatever reason that may be, then perhaps this is not the ideal dog for you. For anyone looking for a dog to live within your apartment, the Faux Frenchbo Bulldog is an excellent option because it’s perfectly suited for life indoors. This dog does not need a large backyard to play around in like larger breeds do. They are perfectly fine with spending the majority of their day indoors because of how small they are!